← Goodnight, and good luck, ye huddled masses…. I like it when disparate things make odd links. I sometimes think that my brain was wired up differently to other people’s… rubbish at linking such important things as strings of telephone numbers or people and their birthdays, but great a connecting obscure facts, places, and snippets of information that normally gather dust in the recesses of our cranial deposit boxes. Of late I seem to have been bombarded with examples of an obscure form of ceramic type artificial stone. Not your usual musings; I would much rather be thinking about long autumnal walks with Miss Perfect, but for some reason this month fate has chosen to distract me with Mrs Eleanor Coade and her peculiar stone manufacturing process. A couple of weeks ago an elderly couple I know in Taplow were waxing lyrical about the new gates their neighbours had just erected. Apparently some vandals (and I loved their use of the term ‘vandal’… not thugs or ‘youfs’…they are charming people (the couple, not the yoofs…)) had smashed said gateposts with their wide-boy racing antics, and broken the ornamental vases type things that topped the brick pillars. It transpired that these were made of Coade stone, and were irreplaceable, the ‘recipe’ for its manufacture being lost. Luckily the neighbours had sourced some equally fancy stone finials and the harmony of the village had been restored. 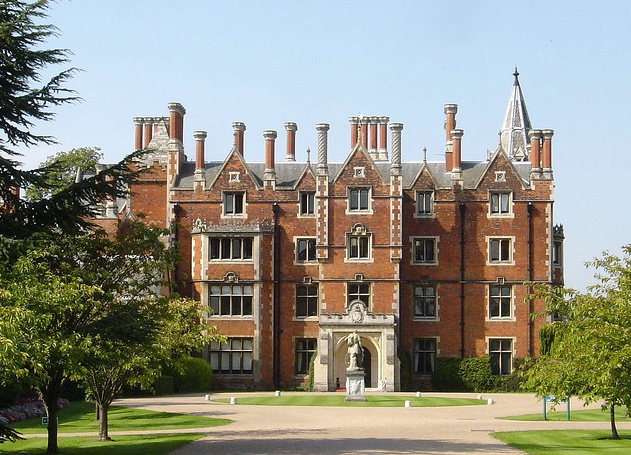 Later that day I was visiting Taplow Court the home of SGI-UK, a lay Buddhist society. SGI-UK is part of a world-wide network of organisations that aims to contribute to a more peaceful and harmonious world through educational and cultural activities based on the philosophy of the 13th century Japanese sage, Nichiren Daishonin. The Victorian pile the group currently operates from is used for courses and conferences and also houses the Library of the European Branch of the Institute of Oriental Philosophy. Hence my interest. However, on the lawn outside was a rather odd but ornate statue of George III dressed as a Roman Centurion. This too turned out to be Coade stone dated 1804. A bit of detective work has sprung a few surprising finds: It is obviously named after Mrs Eleanor Coade, 1708–1796, who sold it commercially from her new factory in London, Coade’s Artificial Stone Manufactory. I love the fact that this crazy woman found that by essentially baking all this stuff together she could make exquisite statues. Its manufacture required special skills: extremely careful control and skill in kiln firing, over a period of days. This skill is even more remarkable when the potential variability of kiln temperatures at that time is considered. Mrs Coade’s factory was the only really successful manufacturer. ▪ 10% crushed soda lime glass. ▪ 60-70% Ball Clay from Devon. And still the stuff keeps turning up! This weekend I was driving through Shrewsbury on the way back from a fantastically odd party (more of this in another post….) when I turned a corner to be confronted by a truly enormous column in the style of Nelson’s in Trafalgar Square. Standing at a modest 133 feet it apparently commemorates the 1st Viscount Hill, who was Wellington’s top bod at the battle of Waterloo. His statue sits on the top gazing over the hideous office block that is Shrewsbury County Hall. 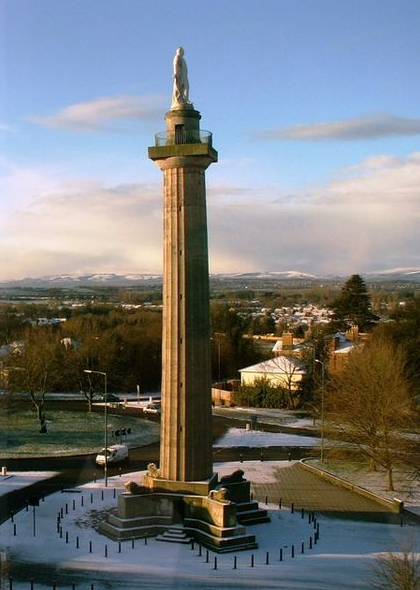 It is the tallest Doric column in England, which is just as well to see over this monstrosity, and is two feet wider than Nelson’s Column, and 13 feet higher. And I bet you had never even heard of him! And finally for all you Oxford citizens, with nothing better to do, you can even see this stuff here in our fair city of ‘Perspiring Dreams’ (© Tim Myatt 2000). 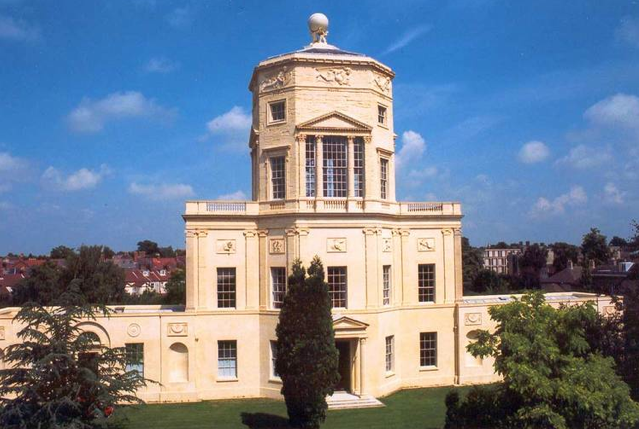 The signs of the zodiac, on the Radcliffe Observatory, also known as the ‘Tower of the Winds’, are also Coade stone panels. Concrete will never seem the same again, and I bet this will all be fascinating for Miss Perfect when I do get to take that autumnal walk!